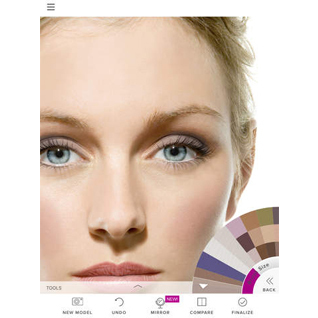 Create a beautiful new look with jane iredale Makeup Mirror. 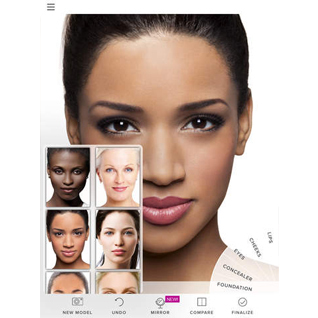 It’s the only beauty makeup app of its kind with a real-time mirror that lets you see, save and instantly share your results with your friends. Add a Photo: Upload your photo or choose a model image provided. 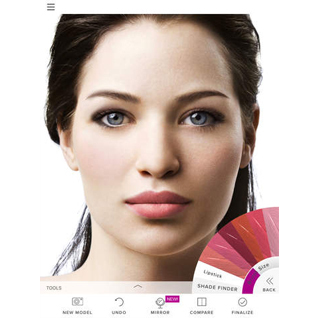 Get Creative: With a few inspired swipes of your finger, you can experiment with your favourite jane iredale colours, or discover how the newest shades look on you. Instantly See Your New Look on a Real-Time Mirror: Simply tap the button to turn on the real-time mirror and see your new look live. (Makeup Mirror available with latest generation iPads). Share the Results: Save, email or share your jane iredale makeover results with friends on social media platforms. Shade Matching: Scan any object to find products in similar shades. Purchase: In one easy step, you can add all of the products you’ve used in your makeover to your shopping cart.